Couples engaged to be married should never have to settle on wedding rings that do not perfectly suit them, their affluent tastes and their unique lifestyles. Matrimony is one of the most important engagements that a person can make in their life-a vow that should be complemented by the finest jewelry. CrownRing carefully and masterfully designs our collection to imbue the traditional tenacity of matrimonial jewelry with added aesthetic flair and couture that helps make it truly one-of-a-kind and a special part of your wedding moment. Our modernized design adds a special allure and distinction to our collection, created with your tastes and your lifestyle in mind. Our expert jewelers create every ring with passion and attention to detail, using innovative methods and high tech machinery to achieve precision and excellence. Our innovative metal rings are created to brace his finger perfectly, to match all the styles and occasions, yet to be inherently distinguished by the intricate but subtle details that make them each their own. 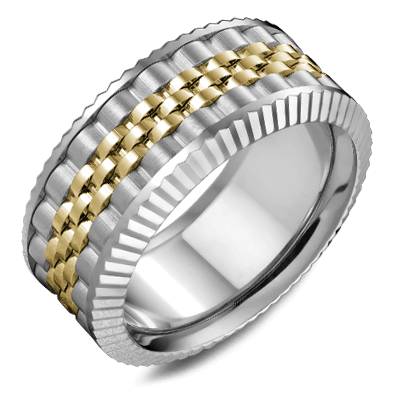 Our wedding rings for men span the gambit from simple, classic wedding bands to diamond encrusted, carved and hand woven. 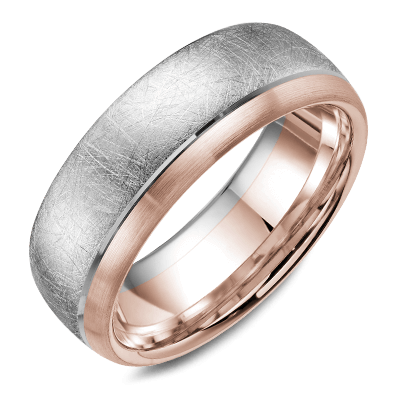 We also offer a variety of rings in popular metals like palladium, white gold and platinum. 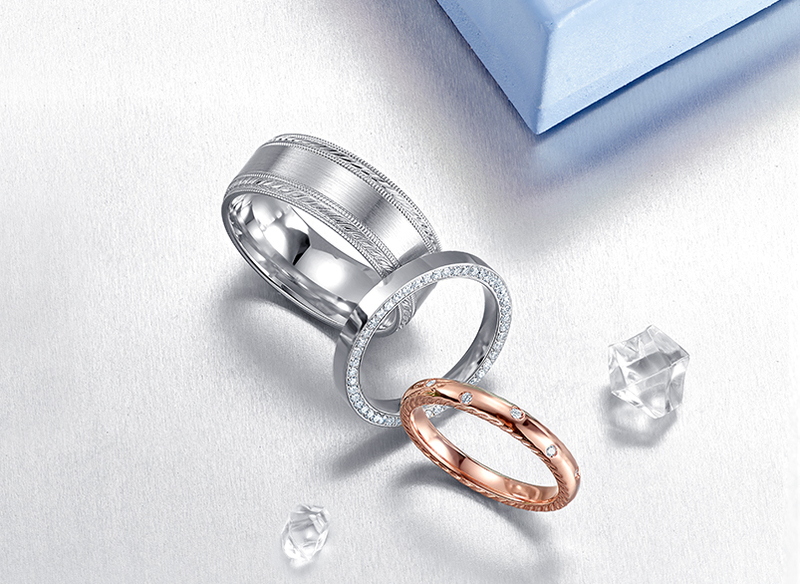 With a variety of wedding band sets available, you can assure that your wedding bands are perfectly paired for your special day. For those who desire a more ornate wedding ring, our unique carved collection is the ideal place to begin your search. Whether you want intricately detailed and modishly carved designs or simple, sleek and clean cuts—carved is as detailed as a ring can be while still underscoring the tradition of the classic wedding jewelry. 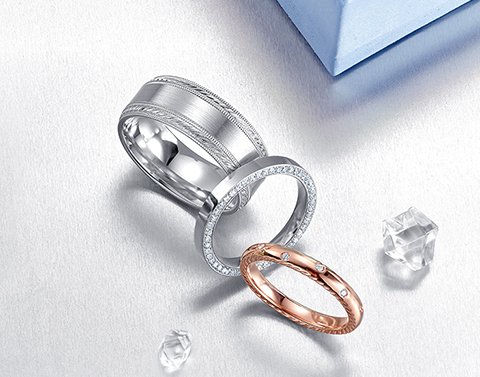 You nearly can't ever go wrong with diamond wedding rings. With a variety of options to choose from for men and women, including matching sets, you can effortlessly find the sleek, contemporary and popular designs that you are seeking with the added panache of the CrownRing styling - specially cut just for your wedding day. 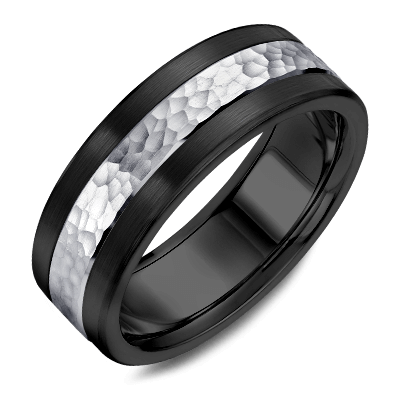 Traditional and classic design is married to modern and provocative aesthetics to deliver an exceptional finished product that you will be proud to wear on your finger. Be different by opting for hand woven bands that are distinctly original and trademark. 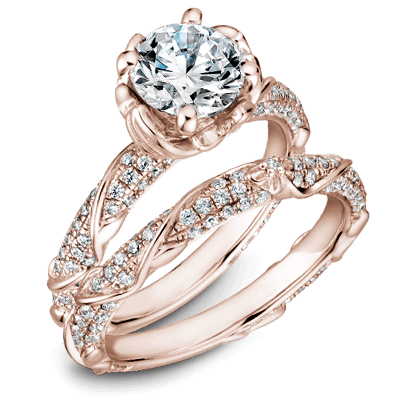 Old world artistry meets modernized styles and patterns, culminating in a timelessly perfected ring that is sophisticated, detailed, fashionable and elegant. Carefully crafted jewelry entices the onlooker while still capturing the spirit of your special moment forever. 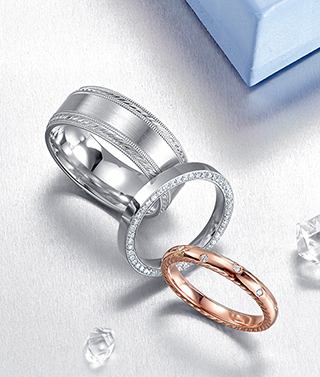 We invite you to shop our collection of wedding rings today. 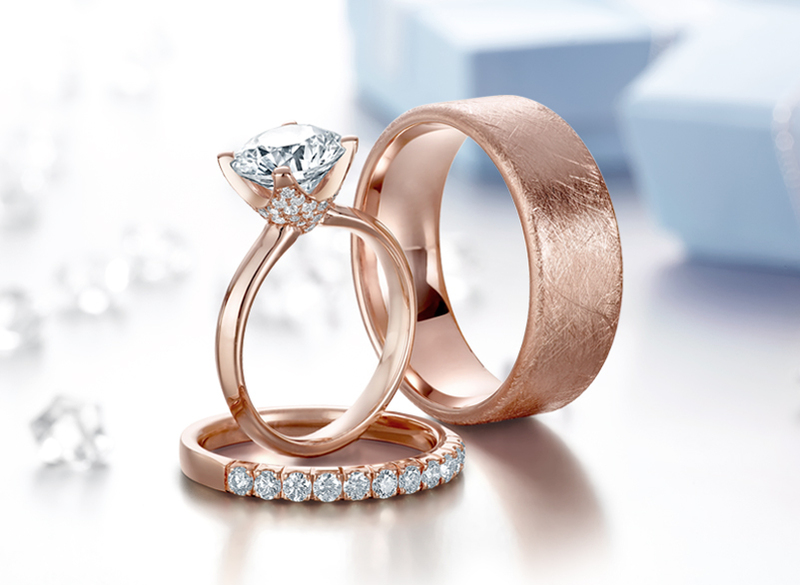 Whether you are searching for the perfect engagement ring, matching wedding band sets, men's or women's wedding bands or alternative metal accessories —we are certain that the perfect selection is just waiting to be uncovered by you in our pristine collection. Make your "happily ever after" an unforgettable moment with the perfectly designed jewelry for your nuptials. 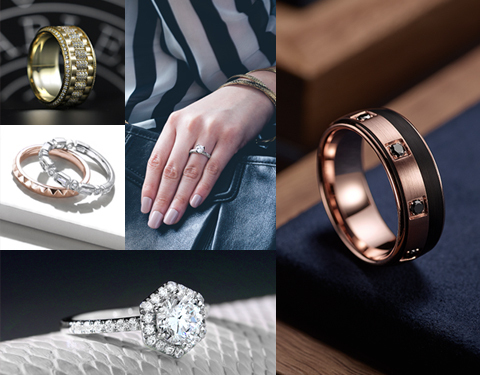 There is an endless range of choices and possibilities when it comes to wedding rings– we have innovative metal rings to fit any criteria and to satisfy the tastes and preferences of the customers with the most selective and particular standards. The fashionable rings from the "Torque" Collection are made from impressively strong metals that boast a range of different complimenting characteristic, from scratch resistant to shatter proof to extremely durable. These are the rings for those who don't want to worry about their accessory being very delicate and easy to damage while living their life to its fullest. 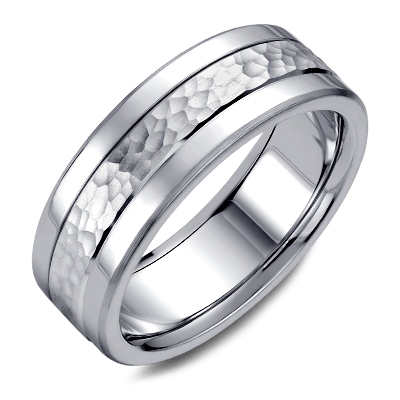 CrownRing Wedding Bands and Anniversary Rings are available in a vast selection of styles. These rings can be made in any precious metal, any colour and a variety of diamonds or colored stones can be added. CrownRing can bring dream rings to life. The Bleu Royale Collection offers a band that is made to stand the test of time. It’s thicker profile & heavy weight will endure the wear and tear of everyday life. 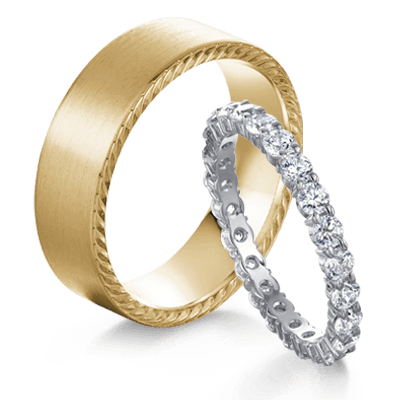 Honor your love and commitment with a quality, precious metal wedding band crafted with the highest grades of gold, platinum & palladium. The special moments in life that take your breath away are few and far between. That’s why CrownRing set out to celebrate these moments with a collection of spectacular precious metal bridal jewelry that brings happily ever after to life. When a couple gets married they are king and queen of their world, ready to reign over their new life. 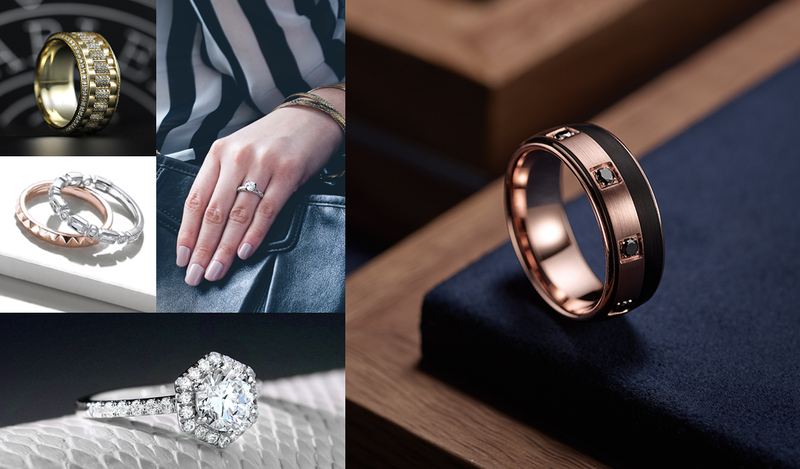 This is the concept behind CrownRing, creating jewelry fit for royalty. 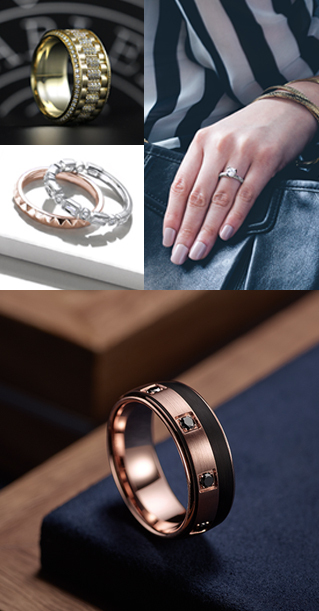 Our retail partners are carefully selected by CrownRing and are dedicated to helping you with the most important jewelry purchase of your life.